Impact bars are an important part of the conveyor belt support and spillage control system at conveyor load and transfer points. 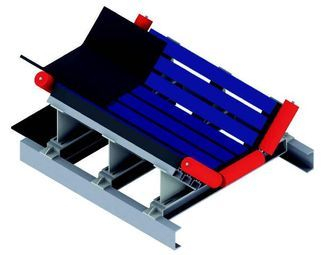 They provide support across the width and length of the load area and absorb the impact of heavy and often sharp material, protecting the conveyor belt. Our impact bars have a top cover of UHMW polyethylene which provides low friction and the rubber below absorbs the impact.